Vacation rental house. 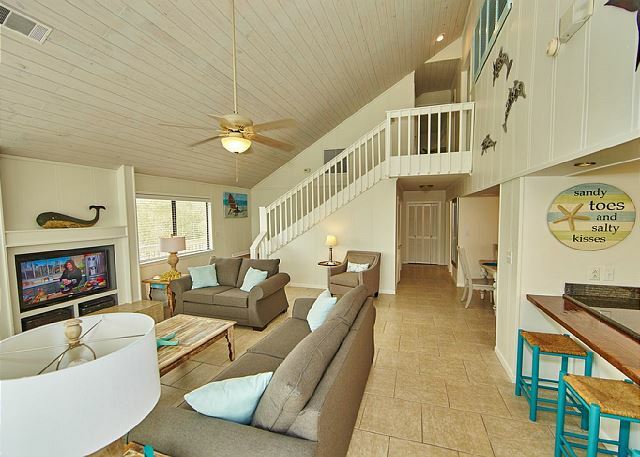 Sleeps 16, 5 bedrooms, 3 bathrooms. No pets allowed. Kick back for a couple of days and enjoy the wonders that beach has to offer. 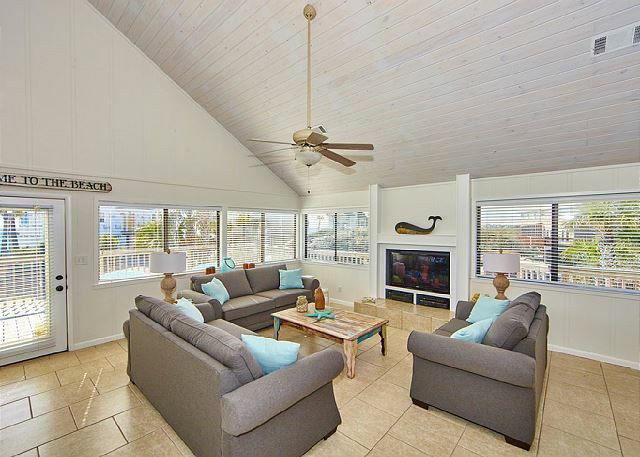 Our recently renovated 5 bedroom, 3 bath home has everything you could possibly want for a beach getaway! 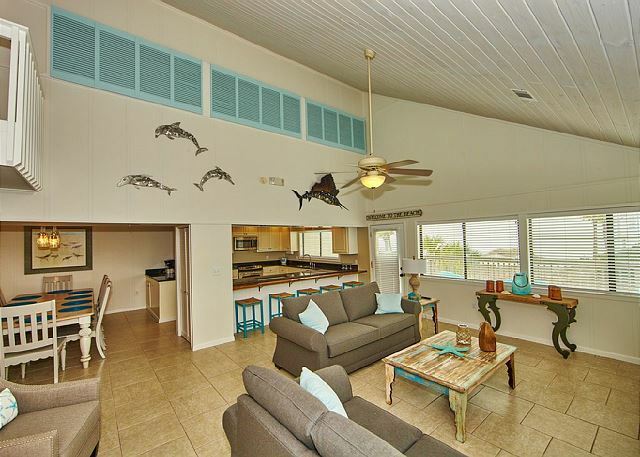 Situated in Gulf Trace, a private gulf front community by Grayton Beach State Park and Alligator Lake. 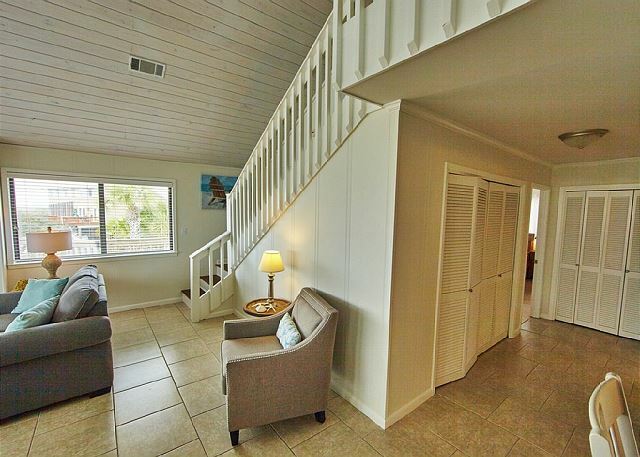 Our beach home is just a few steps to the beach nestled in the 30A corridor. 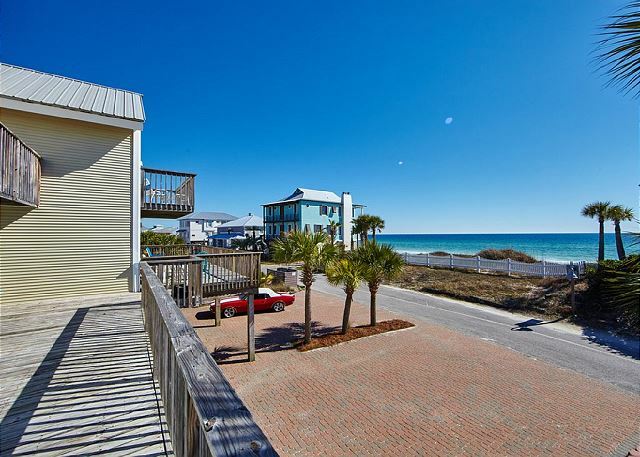 Convenient to Grayton Beach, Water Color, Seaside, Blue Mountain, Seagrove Beach, and Rosemary Beach. 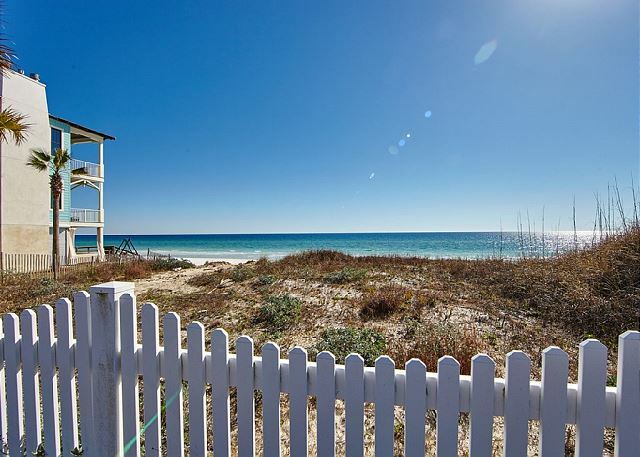 These areas make up and give The Beaches of South Walton all its unique and distinctive charm. 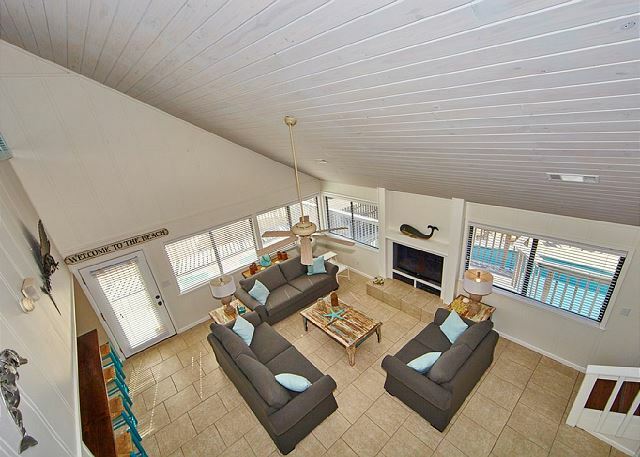 Our house was designed for beach get-togethers – Walk in the front door to an open family room with vaulted ceilings, well stocked kitchen & dining area. Plenty of seating for all. The kitchen table seats 10 and the bar handles 5 more…so if you want to do a quick snack or a full blown dinner…it will be no problem. 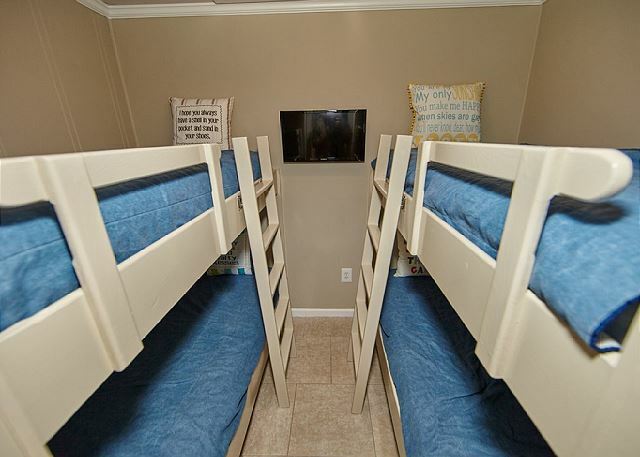 Every bedroom along with the family room comes equipped with a flat screen TV & of course, WIFI is included! 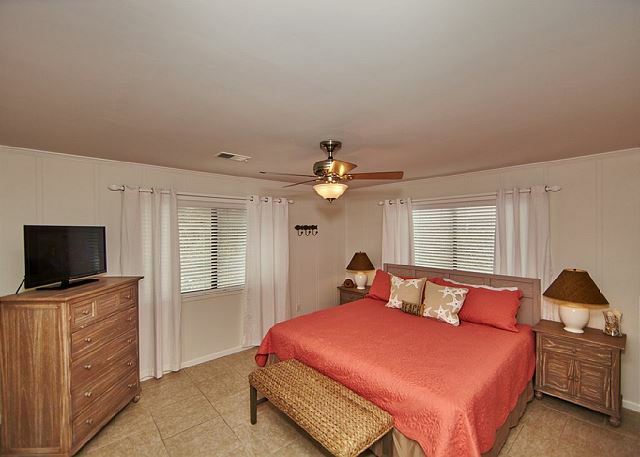 Also on the main level, there are 2 spacious master bedrooms with king size beds and bathrooms. 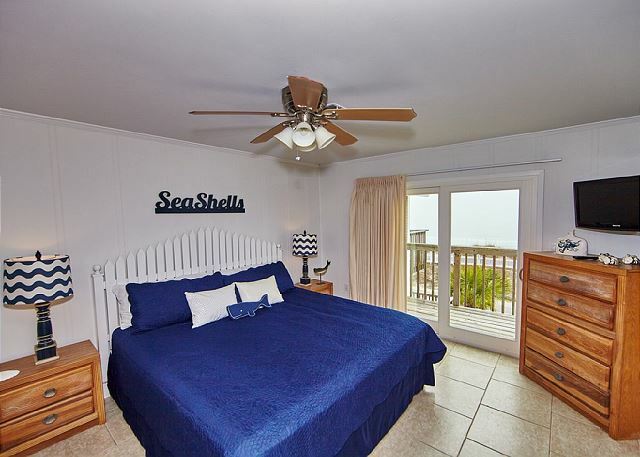 Heading upstairs you will find 3 more bedrooms – 1 king size bedroom with a balcony and gulf view. What a perfect place to enjoy your morning coffee & relax by yourself enjoying the peace & quiet. A bunk room for the kids to enjoy late nights of endless storytelling & games. 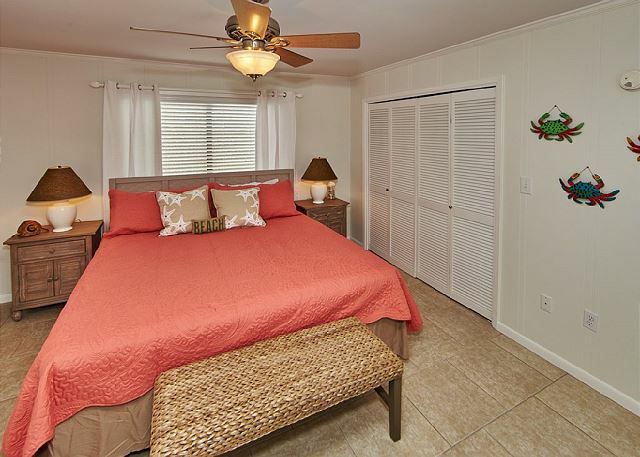 The third bedroom has 2 double beds and a queen sleeper sofa – another great getaway area. Lastly a large bathroom to finish out the top floor. 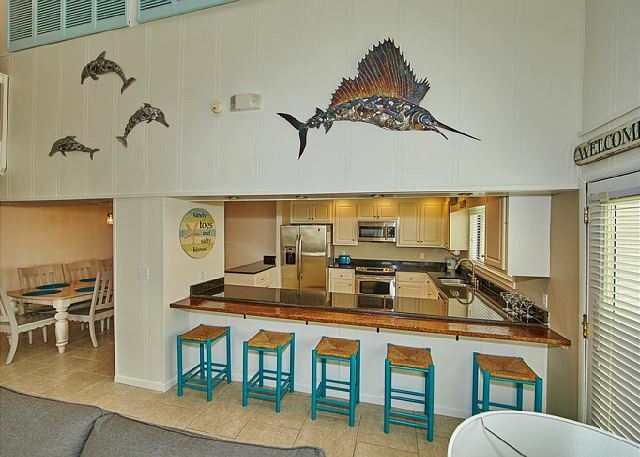 You will enjoy an unobstructed view from the deck and several rooms within the home of the emerald blue waters & powdery white sands of the Gulf. The pool is the crowning jewel to go with the package! Ample parking & ping pong table are included as bonuses! 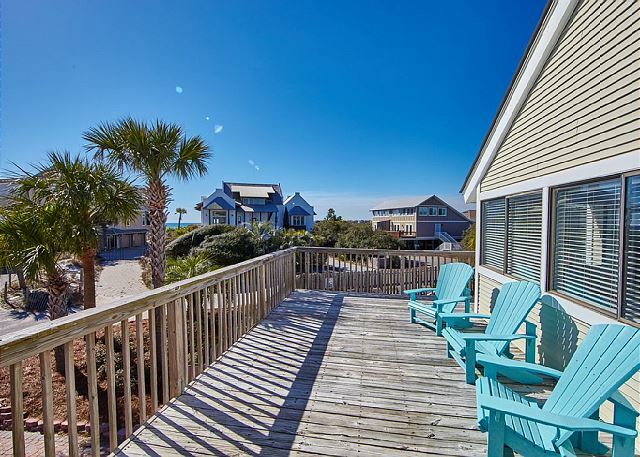 If you are looking for just the right place that is “off the beaten path” but right next to the water with all the modern amenities….look no further….but your Toes in the Sand at 294 Gulf Trace because life is good and you will have no cares in the world when you are at the Beach! Hurricane or storm policy: no refunds will be given unless: 1) the national weather service order mandatory evacuations in a “tropical storm/hurricane warning area” and/or 2) a “mandatory evacuation order has been given for the tropical storm / hurricane warning” area of residence of a vacationing guest. The day that the national weather service orders a mandatory evacuation order in a “tropical storm / hurricane warning,” area, we will refund: 1) any unused portion of rent from a guest currently registered; 2) any unused portion of rent from a guest that is scheduled to arrive, and wants to shorten their stay, to come in after the hurricane warning is lifted; and 3) any advance rents collected or deposited for a reservation that is scheduled to arrive during the “hurricane warning” period. This was a wonderful place to stay!! WE cant wait to visit the house again. The views were amazing and breath taking! Thank you so much for your review! We look forward to having you again! The house was perfect for our family. The kitchen was slightly lacking in some utensils but overall it was great. 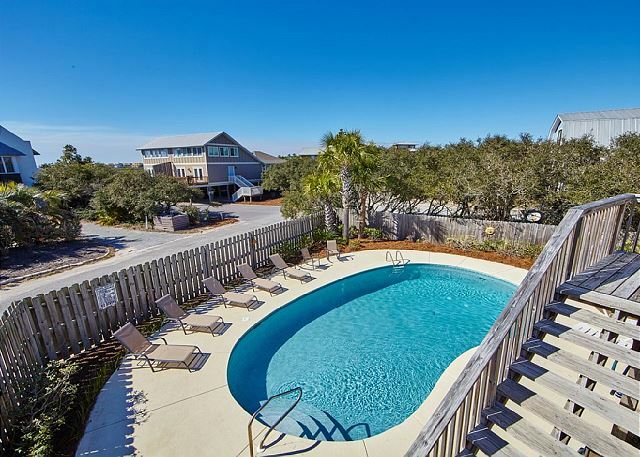 The pool is fabulous and there is plenty of space to spread out and enjoy the beach. 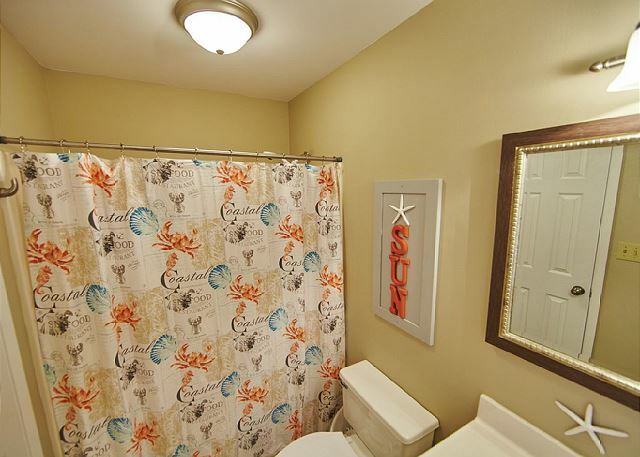 The house is in a great location and just a short drive to numerous restaurants and retail shops. You can enjoy the pool while listening to the sound of the waves. We have already made plans to return. Location was wonderful, house was nice. The bunk room was a smaller than we would have liked--but it worked out. Having the pool was great and there was plenty of parking. Check-in was smooth and easy, no surprises; and the house was clean and ready for occupancy. Seems odd that the screen room doesn't walk-off into the pool area, but probably a code issue. Destin Memories' staff are quick to respond to any and all e-nails, and the owner, Greg, has been available and very gracious to respond. Everyone with whom I have spoken make me feel as though I'm their personal friend. It's nice to deal with nice people. What a fabulous stay at 294 Gulf Shore Drive. The home was very clean when we arrived, multiple TVs were nice to have so that the littles could watch appropriate programs and the dads could watch sports. A pool is a must at the beach, and this pool was clean and a great size. There were even pool/beach toys in the coveeed area. Loved the covered parking area large enough to park three cars in the shade. We love Gulf Trace, it's uncrowned beach, clear water, and soft white sand. We highly recommend this home and will come back for a third time next year. Do wish there was 1 more bathroom. Ha! It is always our pleasure to have you and your family come & stay with us! We love our repeat guests and try to make you feel at home even when you are on vacation. We hope to see you again next year. The house work for us very well. There where 10, 5 teen girls. Nice size pool and screen in area with ping pong wher kids could go and hang out.kitchen and dinning worked very well. Beach access wa easy and this is a great beach. Glad to hear that you had a nice stay and the home fit your needs well. The ping pong area is a great hang out for young & old! Wonderful Stay! Clean unit, well stocked! Tricia was wonderful!Booking was very easy and company was great to work with. Beautiful view and very short distance to beach. We will be back. Could not have been better! 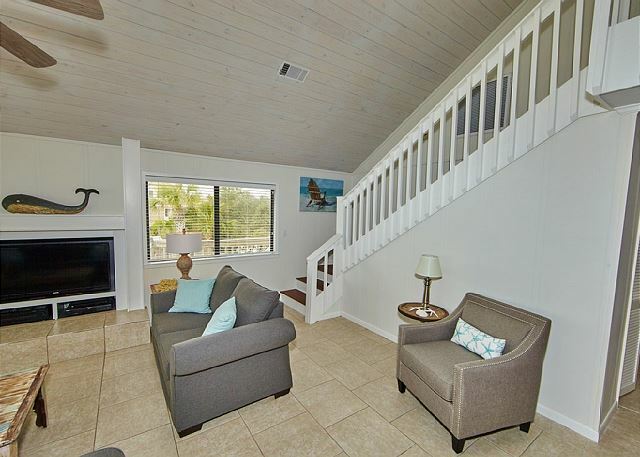 The location was awesome...steps away from the beautiful beach, very quiet neighborhood, and convenient access to bike trail and local restaurants. Perfect house for our family. As a family, we travel to 30A every fall. I have to say, this is arguably my favorite of all of the rentals we have stayed in. 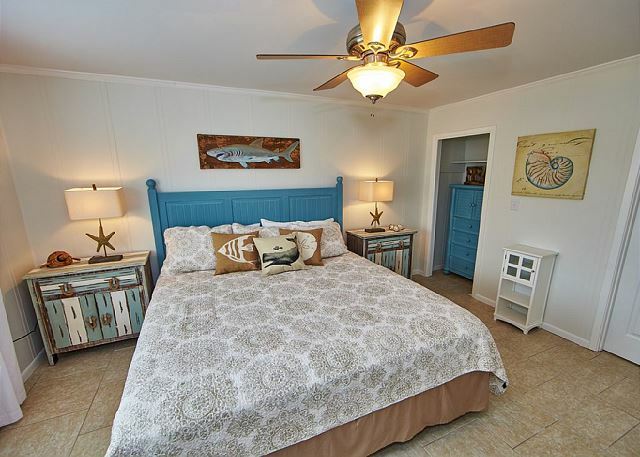 The location in Gulf Trace is super quiet and the road the home is on has virtually no traffic, which makes the 2 minute walk to the beach very safe and easy. The combination of the large, private pool and view and proximity to the beach is a great combination for the price. The location is great, just a quick 5 minute drive in either direction to Watercolor, Seaside, Gulf Place etc. The interior of the home was nicely appointed, with comfortable clean furniture and a pretty well appointed kitchen. They lay-out was nice for a 2 family stay, with 2 bedrooms/baths on the main level and the bunk room and other bedrooms upstairs. The only negatives I could mention were really poor wi-fi service and I would mention that the bedding could use a refresh, it seems a little tired and worn. Those are really the only blemishes I could find in an otherwise, great stay. Would surely book again! 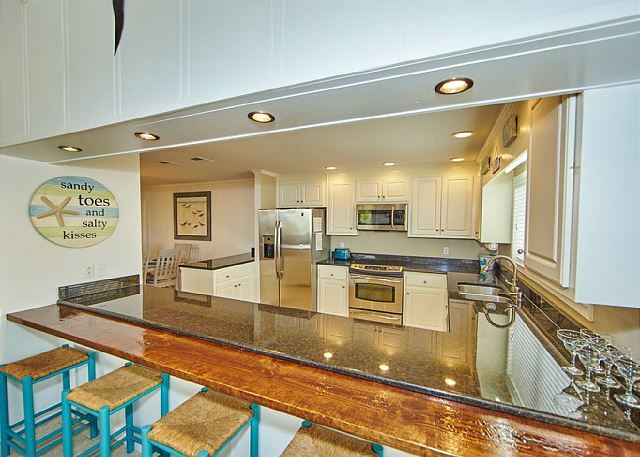 As you pointed out Gulf Trace is a wonderful location - quiet but in the heart of 30A! 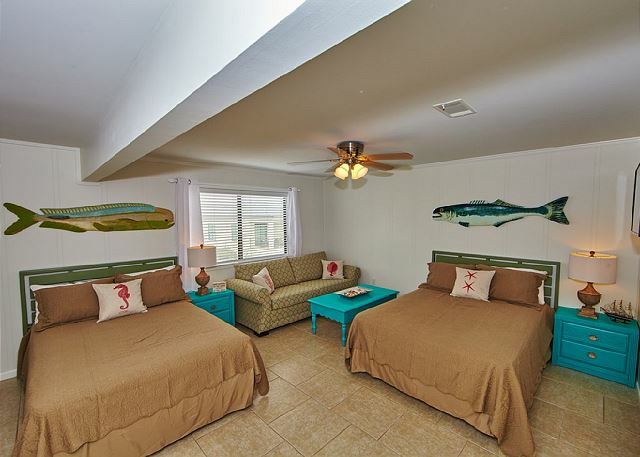 Right across from the beach with it's own pool & at a great price! As to the WIFI, we are at the mercy of the provider. We find that we have sometimes have trouble in our homes here when we only 2 users let alone 12. Thank you for your feedback & we look forward to hosting you, your family & friends again in the future. A beautiful house with stunning views. Everything we wanted. "We absolutely loved our stay at "Good morning Sunshine". We had 3 families with 6 adults and 7 children ages 6-8 and we all easily and comfortably fit in this house. Sleeping arrangements were easy with the bunk beds and the room with 2 queens and a couch. The three king rooms really were great for the 3 sets of parents. 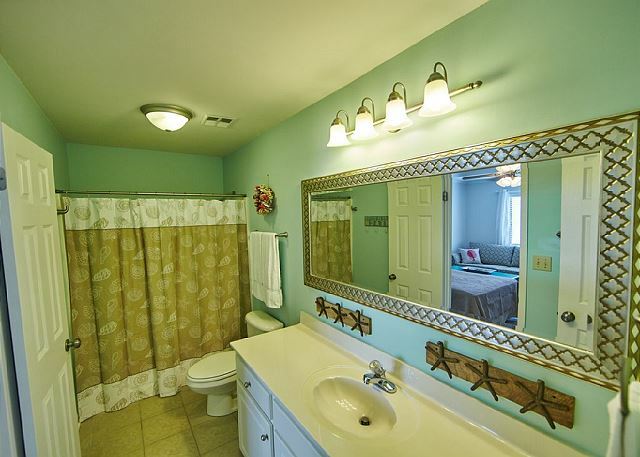 (One review earlier said that the upstairs bathroom was only a tub - but rest assured it is a tub and shower combo and although it is technically "shared" with the other occupants of the top floor, it was never an issue for us and shouldn't be for most.) The eating area was perfect as well... there was always plenty of space to spread out and eat with the bar stools and the large dining table. The living area was also perfect with 3 large couches - we always had plenty of room to spread out and relax. The views were amazing and having our own private pool was the perfect way to top off an already perfect rental. We are already talking about when to book our next trip to this location. 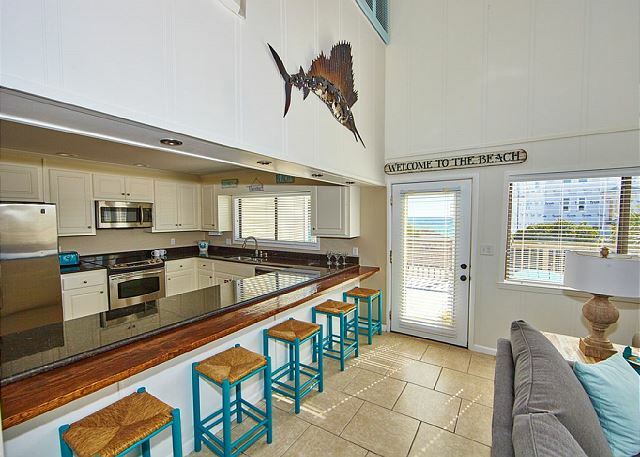 Since this rental is in a quiet neighborhood surrounded on three sides by the state park, the beach is practically private compared to other busier areas of the gulf. Oh and get ready to see some amazing wildlife! There are deer that walk all over the neighborhood - they are amazing to see as you walk, jog or bike around the neighborhood. 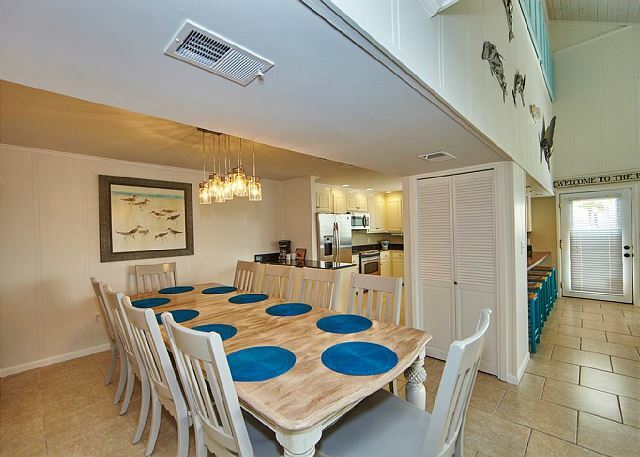 This rental is also just a short walk or bike ride to the 30A sidewalks that runs east and west for miles. It was easy to hop on our bikes and ride for 5 minutes to get to the Grayton shops or ride for 30 minutes to get to the popular area of Seaside. We highly recommend this location!" Thank you so much for such a detailed and GLOWING review! We truly appreciate it and hope to host you, your family & friends again! Many thanks! It is an absolute pleasure to have REPEAT guests! As you noted the view is fantastic and the private pool is a bonus! We hope to see you again next year. Overall we had a wonderful time! The house worked well for 3 families- 6 adults & 10 kids. Pool and ping pong areas were a huge hit! Great neighborhood! The description of walkover to beach led us to believe it was right across the street & it was actually 3 houses down and across the street. So a little more walking than we expected. We agree Gulf Trace is a GREAT Neighborhood! 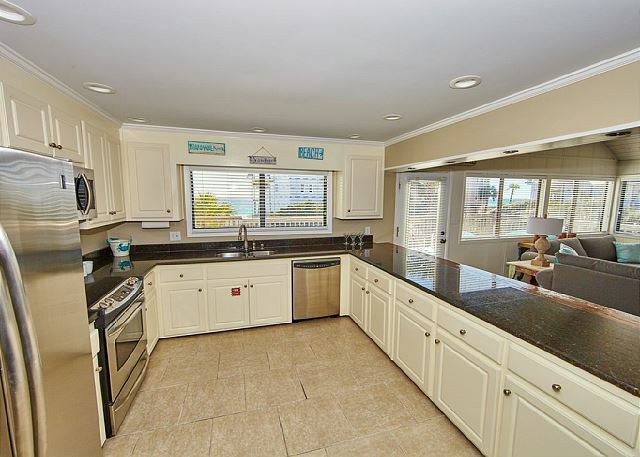 Quiet but close to everything on 30A! So glad you enjoyed the pool & ping table. Thanks for pointing out the walk over - still extremely close! And the view CAN'T be beat! We traveled with 3 families and this house was perfect. It was an easy walk to the beach with was not crowded! We also enjoyed the pool. The house was very clean and well maintained. We also appreciated all the pool toys and other things that were at the house to use for our week stay. The rental company was very helpful and courteous! We had 16 people in this house - 2 adults and 14 college kids. The house was perfect for us. Other than the kitchen needing some more pans and a drying rack, we have no complaint. It was a an absolute pleasure to work with you. Thank you for the suggestions - we will get those items added!